Sammy Margo is one of the premier providers of first class physiotherapy at Sammy Margo Associates as well as being an established author. With over 25 years of experience in the field, Sammy has devoted time to reviewing sleep related products which has resulted in the publication of two books The Good Sleep Guide and The Good Sleep Guide for Kids. 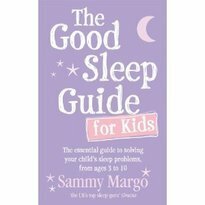 Adding a clinical input, Sammy Margo is also a regular figure in the media including television, radio, newspapers and magazines reviewing and recommending the latest products in sleep innovation.